What if the property owner lied, though? Then, the accuracy of the valuation is compromised. This is a problem the world over, particularly when the property owner is the one who hired the valuer. This week’s lawsuit by Tin Lik, a Hong Kong developer, against the trustees of the RREEF China Commercial Trust is an interesting example of the consequences of misrepresentations. This lawsuit came immediately after the June 30th judgment against Tin Lik in the case of HSBC Institutional Trust Services v. Tin Lik, decided by The High Court of the Hong Kong Special Administrative Region. HSBC Institutional Trust Services was the trustee of the RREEF China Commercial Trust, a Hong Kong REIT having the Beijing Gateway Plaza office complex as its sole asset. On June 4th, 2007 the Trust bought Gateway Plaza from Tin Lik based on Tin Lik’s representations of rental income, representations which were discovered to be false by the newly appointed REIT manager, RREEF China REIT Management Limited, who then calculated the financial value of the discrepancies to be HK$278,526,708. These discrepancies and the estimation of financial loss were later reviewed and confirmed by an independent subcommittee which included an un-named international accounting firm. On September 7, 2007, Tin Lik agreed to pay the full sum of HK$278,526,708 and promised to make further payments if that sum was later found to be insufficient. Such an action is tantamount to a guilty plea. A new valuation of the property was done on September 30, 2007, establishing a value of HK$3,699,000,000. After taking into consideration the HK$278 million already paid by Tin Lik, the Net Asset Value attributable to all the unit holders was still HK$69,663,000 lower than if the rents had never been misrepresented. The Sale and Purchase Agreement by which the Trust acquired Beijing Gateway from Tin Lik established monetary “set-offs” for other discrepancies as well, such as breach of warranties. Tin Lik had warranted certain equipment such as lifts (elevators) and HVAC as being in good repair and reasonable working order, having been regularly and properly maintained and not dangerous or obsolete, but some of the equipment had to be repaired or replaced. There was also a guarantee of billboard rental income of RMB35 million for the first year, 38 million for the second year, and 40 million for the third year, but the tenant defaulted. HK $ 12,902,544 in 2010, which adds up to HK$276,596,671 additionally due to the Trust from Tin Lik. Tin Lik disputed the set-offs and on May 20, 2010, sent a letter demanding repayment of the HK$287,497,000 he paid on September 7, 2007 to settle discrepancies related to rental income. 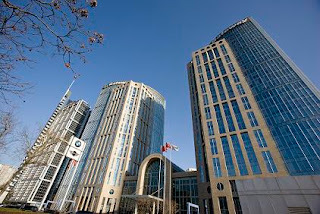 Unfortunately, the property was sold to Mapletree India China Fund on February 3, 2010, and after the sale, a Special Resolution of the unitholders was passed on March 31, 2010 to terminate the Trust and delist it from the Hong Kong Stock Exchange. Tin Lik is now contending that he was coerced into admitting fraud and making the HK$287,497,000 payment to the Trustees in his new lawsuit, which seeks to recover that payment.